eOne says that the property has become a firm favourite with pre-schoolers. 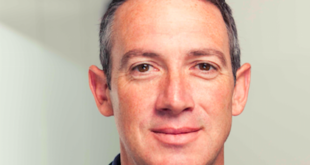 Having launched on Mexico’s Channel 5 in November 2013, eOne says that the TV show has become a firm favourite with pre-school audiences, reaching a rating of 2.4 points. 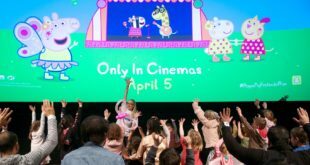 In addition, eOne has revealed that the Peppa Pig licensing programme has also seen positive results since its launch in 2014. The consumer products programme, which is managed by Televisa Consumer Products, boasts 50 licenses across 16 different categories. 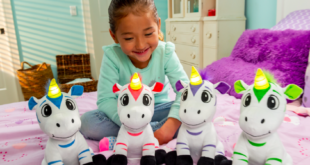 For example, over half a million toys were sold during the first four months of the launch, over 100,000 Peppa Pig books have been sold by Random house since launch, and over 150,000 Famosa plush toys have been sold to date. 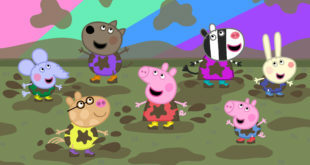 “A groundswell of popularity for Peppa Pig has clearly been building since episodes debuted in Mexico just over a year ago”, said Ami Dieckman, head of international licensing at Entertainment One. Peppa Pig also scooped the Best Pre-school Brand of 2015 Award in October this year at the PROMARCA Awards, which was hosted by PROMARCA to honour achievement in the licensing industry. Next Have you got what it takes to win a Licensing.biz People Award?